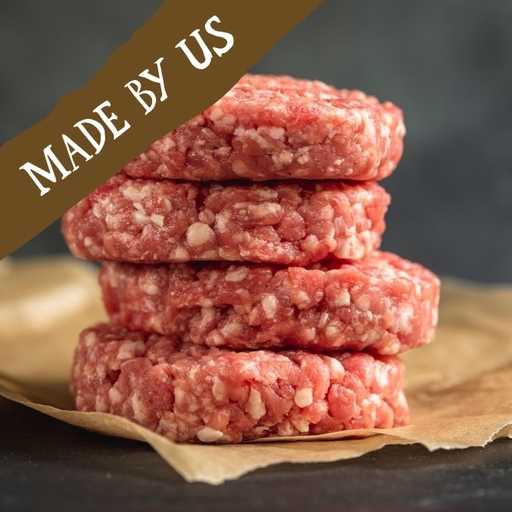 A superlative blend of organic lamb, hand-shaped into luxuriously meaty patties. We don’t add salt to the mix, as this breaks down the proteins and spoils the texture. Instead, these are pure lamb, for the tenderest, juiciest mouthful possible. These patties don’t contain any seasoning, so sprinkle with salt and pepper generously before cooking, just as you would with a steak. Fry or BBQ on a medium-high heat for 3-4 mins a side, until nicely browned and cooked through. Leave to rest for a few minutes before building your perfect burger. The lamb comes from our producer group of small-scale organic farmers, who rear their animals to some of the highest welfare standards around. They are grass fed and enjoy an outdoor existence, reaching maturity naturally.